You only have till midnight, January 31st, to secure the current ridiculously low price of the Monthly Mentor Club. The price is going up, but all members who get in before midnight keep the current rate for as long as they’re an active member. Besides the huge load of bonuses, back issues, and training videos already available in the site, you’ll also get access to the next issue on February 1st. It will show you how to attract more leads, buyers, and clients with Facebook advertising. Many of my clients have been advertising heavily on Facebook over the past few years…and we’ve discovered quite a few ‘secrets’ to what’s working…and what’s not. You can’t just run an ‘ad’ as usual on Facebook anymore. If your ad looks like an ad and smells like an ad, it’s not likely to do well on Facebook. This also means you want to avoid big direct promises to your audience. If you promise your reader to make a specific amount of money or lose a specific amount of weight, you’ll set off your audiences’ BS Detector. You’re more likely to get a load of negative comments instead of clicks, leads, and sales. 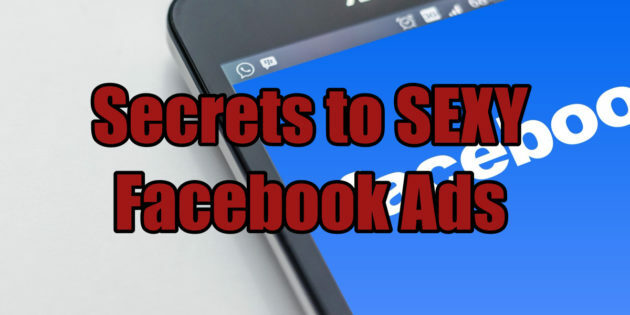 Plus, you put your Facebook ad account at risk. Facebook doesn’t want to liable for big promises they don’t believe you can fulfill. Instead you’re much better off telling your own personal story or a case study of a client. Nobody wants to read your ad on Facebook. But they love clicking on and sharing feel-good stories. They love reading Infotaining news that matches what they already suspected as true. Create an ad people want to share with others. And whatever you do, lose the copywriterese. Quit writing like a copywriter trying to sell something. Don’t write like you’re a big brand. Take a more casual, personal tone. You’re sharing something inspirational, funny, or exciting with your friends. Get out of the ‘ad’ mentality. What posts would you personally like or share with others? And we haven’t even gotten into the importance of the image yet. Choosing the right image is huge. I’m looking at one client’s campaign right now. His best image produced more than 4 times the results of the worst image using the exact same ad copy…and he and I hand selected all 4 images he tested in that group. In the February issue of the Monthly Mentor Club coming out on the 1st, you’ll see examples of the ads that are winning on Facebook right now in multiple different markets. You’ll see exactly what they have in common. You’ll know how to target the most effective audiences for your ads. You’ll know what clickthrough rates you should be seeing from your winning ads (there’s a minimum CTR I like to see to know we’ve hit the right message to market match). You’ll also know which types of objectives to use…and multiple little tweaks you can do to your campaigns to produce maximum results for minimum investment.